The key BSE and NSE indices - Sensex and Nifty - fetched returns of 7.4 per cent and 3.1 per cent in Samvat 2074. Stock markets jumped as much as 0.9 per cent on Wednesday, in a special trading session to mark the occasion of Diwali 2018. 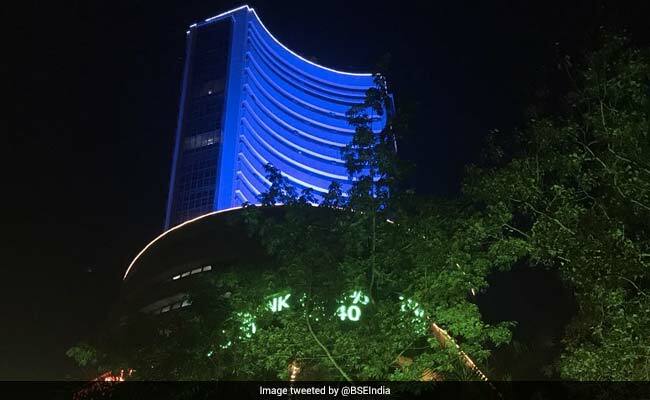 The Samvat 2075 - the year from Diwali 2018 to Diwali 2019 - began with the Sensex rising 310 points to touch an intraday high of 35,302, and the Nifty moving 86 points - or 0.8 per cent - higher to hit 10,616. Gains across sectors, led by auto, fast-moving consumer goods and energy stocks, pushed the domestic benchmark indices higher. At 6:10 pm, the Nifty traded 76 points, or 0.7 per cent, higher at 10,606 and the Sensex was up 274 points, or 0.8 per cent, at 35,266. Market breadth favoured sharp gains, with 1,332 stocks trading with gains on the NSE, as against 287 decliners. The Nifty Auto - a sectoral index on the National Stock Exchange comprising automobile stocks - was up more than 1 per cent. Prominent advancers included Tata Motors DVR and Hero MotoCorp, trading with gains of 1.1 per cent and 1.4 per cent respectively. Positive movements in global peers boosted the domestic markets. Wall Street looked set for a surge on Wednesday and global stocks rose after sharp US election gains for the opposition Democrats, but the outcome, which casts doubt on further tax cuts, hit the dollar and sent Treasury yields lower. After volatile Asian trade, where stocks and the dollar swung on the Republicans' fluctuating prospects, a pan-European stocks benchmark jumped around 1 per cent while MSCI's world equity index was up 0.5 per cent. Most analysts agree the newly empowered House Democrats will have the ability to investigate Mr Trump's tax returns, possible business conflicts of interest and allegations involving his 2016 campaign's links to Russia. Moreover, a split Congress will be able to hamper Mr Trump's push for a further round of tax cuts and deregulation - measures that have turbo-charged the US economy, stock markets and the dollar. The key BSE and NSE indices - Sensex and Nifty - fetched returns of 7.4 per cent and 3.1 per cent in Samvat 2074, sharply lower than those of 16 per cent and 17.5 per cent in the previous year (Samvat 2073). Both the stock exchanges will remain closed on Thursday for Diwali Balipratipada, and will open next on Friday, November 9.